This learning plan aims to refresh GPs’ knowledge of cardiovascular conditions, and provide practical learning points on diagnosis, management, follow-up and referral. You can undertake the whole plan to demonstrate that you have studied this area in depth, or use individual modules from the plan to complement your existing learning. You can claim credits for all the modules that you complete. Dr Farooq Ahmad describes how to implement the latest NICE guidance on cardiovascular disease risk assessment and lipid modification in primary care. Dr Rajiv Sankaranarayanan provides an overview of the diagnosis and management of heart failure. Dr Ivan Benett and Dr Toni Hazell describe how to implement the updated NICE guidance on chest pain of recent origin. The module outlines what’s new in the guidance, what to do differently in your practice when assessing and diagnosing chest pain, and some areas of uncertainty/controversy relating to the guidance. This review by Dr Andrew Money-Kyrle, updated in 2017, examines the diagnosis and management of atrial fibrillation. Dr Martin Duerden reviews the current guidance on familial hypercholesterolaemia (FH), which was last updated in November 2017. This module covers prevalence, diagnosis, investigations, management and contact tracing of family members who may be affected. 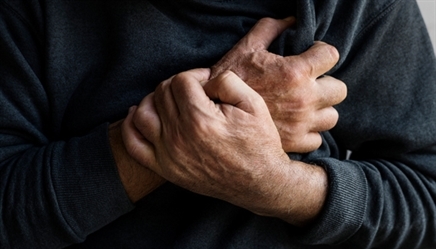 Dr Pipin Singh outlines the causes and management of chest pain in primary care. Professor David Haslam, Chair of NICE, describes how to implement the NICE guidance on multimorbidity.